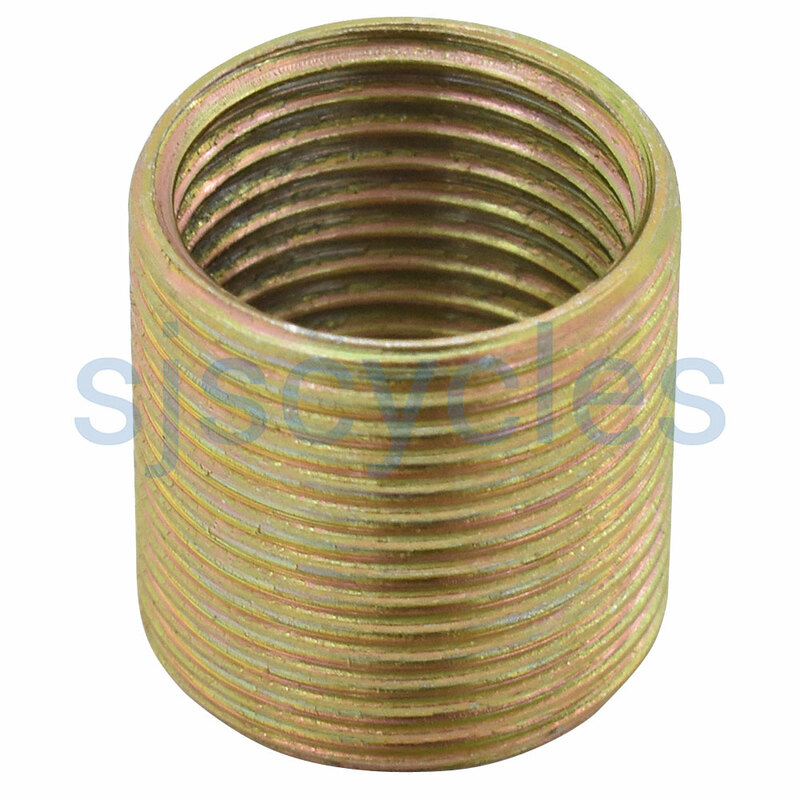 Repair bush for pedal thread 5/8" x 24 tpi right hand side. Do you know what type of thread (exterior) this is? Hi I am looking for a 9/16 20tpi left repair bush helicoil for an arm that is already threaded. Would you have something? These repair bushes are 5/8" on the outside and threaded for 9/16" on the inside, so you would need to tape the crank out to 5/8" for these to work but they would be the only option we'd have. is this a standard size helicoil for repair to a crank thread for a bicycle pedal? as I thought they were size 9/16? This is a standard helicoil for repairing pedal threads in cranks, the internal thread is still 9/16" but the external thread is 5/8".